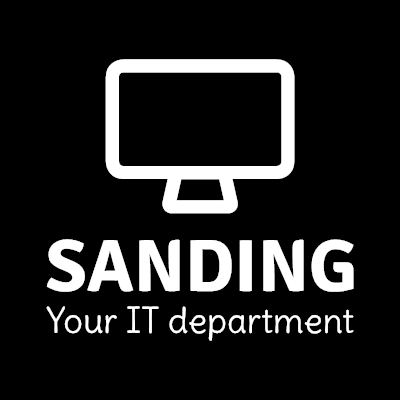 SANDING – Your IT department. We create simple, reliable and secure computer solutions. Computer and networkCloud solutions service. Outsourcing. HW and SW delivery. Full care. Minimal outages. Quick response. Get better possibilities for team work, thanks to our services and solutions. TOP 3 reasons why clients work with us. Quick response on your demands. You can rely on our great support IT team. Our solutions and approach are modern and suitable for companies. Ensure that your computer environment is without worry. Our client fully trust us. This is why our cooperation are long lasting and mutually beneficial. Protection of all data before loss, deletion or unintentional change with automatic backup solution to cloud storage. Operation of web hosting, from small pages to virtual server VPS. We operate servers in cloud and hosting centers like Websupport, Microsft Azure, Google cloud and Digital Ocean. We provide service for updates and maintenance. Creation and maintenance of eShop solutions, CRMs, email marketing and other related services. Protection of computers, servers, email before viruses. Removal of viruses. Protection of all your data before loss, deletion or unintentional change. Maintenance and operation of domains, DNS domain record management, managing and security. Check and securing IT environment against data leakage and hackers. The most striking advantage of SANDING is the experience and reliability gained through co-operation at the corporate level while maintaining the flexibility of a local partner. We can rely on SANDING in all areas related to IT systems. They work as part of our IT department. On our cooperation I especially appreciate confidence. Confidence as a wider concept. We rely not only on your loyalty and discretion, but also on the quality of your work. Ladislav Ležanskýowner - L.K. Permanent s.r.o.